The closed guard is one of the main foundational positions in Brazilian Jiu-Jitsu, along with Mount, Back Take and Side Control. Closed guard allows you to be offensive, while being underneath your opponent. The primary objective of the closed guard is to off balance or submit your opponent, in either obtaining a more advantageous position by sweeping into mount, or using an armbar or choke to get the tap. Like many guards and positions in BJJ, the closed guard has been used since the early beginnings of grappling centuries ago. However, it wasn’t until the late 70’s, early 80’s that this postition was fully utilised in our sport. The closed guard seems to have originated with Osvaldo Alves and his class at the Clube Olímpico (a clandestine casino, masked as a recreation centre in Rio de Janeiro’s Copacabana). Osvaldo taught “Jiu-Jitsu” classes at the Olímpico, however his experience with BJJ was limited. Actually Osvaldo Alves came from a judo background, but needed a fee to teach it, so called his classes “Jiu-Jitsu” classes. While previously living in Japan, Alves was well known in the Brazilian Grappling Community through his close relationship with the Gracie Family. For that reason many students from different teams regularly visited his academy, among the regulars were Otavio “Peixotinho” and Márcio dos Santos (both were students of Carlson Gracie) who started the exchange between basic judo and Gracie jiu jitsu closed guard techniques. Quickly this tight-knit group of fighters started making waves in the BJJ competitive scene. Peixotinho caught and submitted Sylvio Behring with an armbar from the guard, and Pascoal Duarte did the same with Royce Gracie. Sergio Penha became one of the toughest competitors the sport had seen in just 3 years of training, a record breaking time in the sport. The closed guard quickly became a trend, and was adopted by many of the sport’s elite. This eventually helped shape the position into the foundation of Brazilian Jiu-Jitsu, especially taking in account its adaptability for no gi, vale tudo and self defence, all of these are now aspects of today’s modern game. Another important technique often associated with this group of individuals is the triangle choke. In Brazil, the choke had existed long before the closed guard, however, those who remember the old days often say that it was not a very effective technique as they did not use the arm across to tighten the choke, this cunning discovery that perfected the choke was introduced by Sergio Penha and his peers who used the triangle as a common set up from the closed guard. Being one of jiu jitsu’s most tried and tested techniques, the closed guard started losing its predominance in sport jiu-jitsu at the turn of the millennium, with the favouritism of competitors falling on the newer styles of guards that appeared as time went by. However when it comes to competition, you will always see closed guard used to break down and submit people. 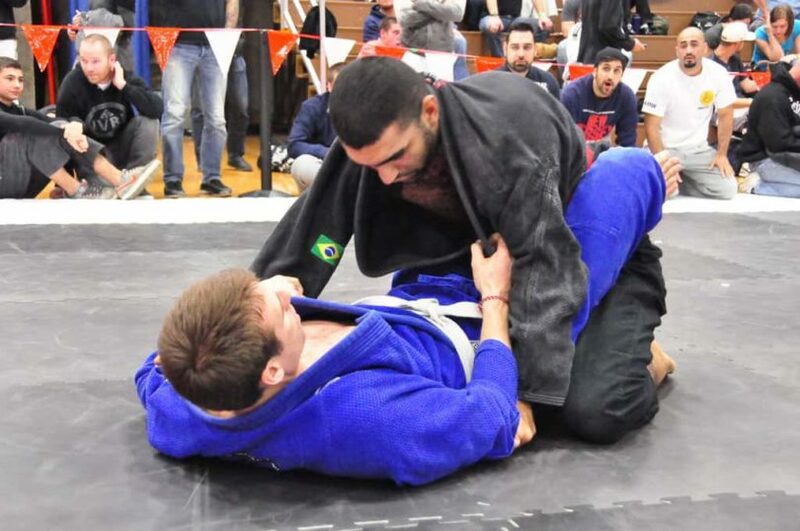 While De La Riva and Spider guard are all useful as open guard positions, you will often see people revert back to basics when the pressure’s on. Never discount someone with a deadly closed guard.